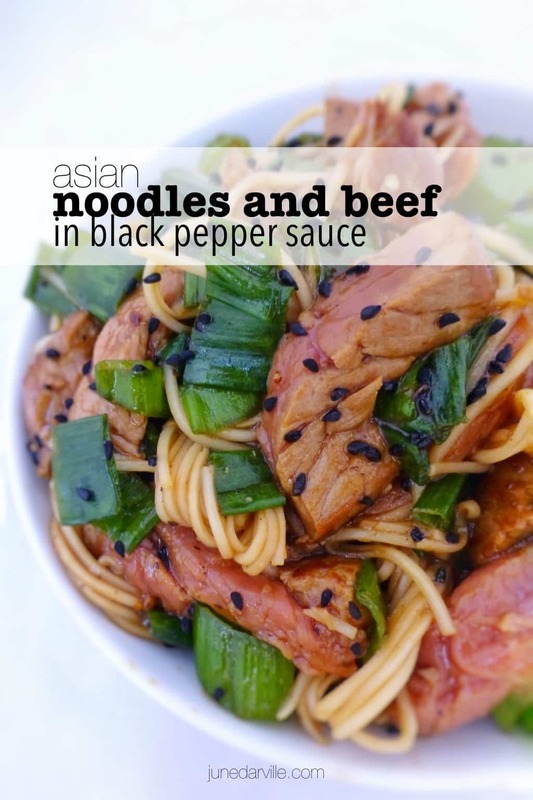 Noodles And Beef in Black Pepper Sauce | Simple. Tasty. Good. I love noodle recipes! 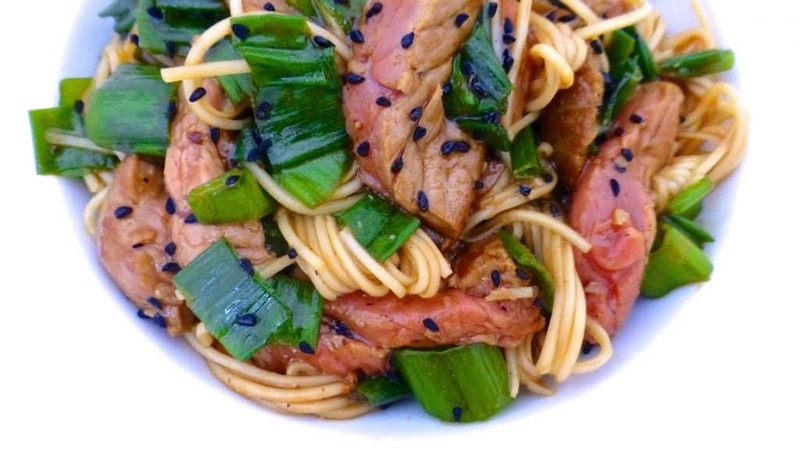 This noodles and beef dish is soooo addictive. I could literally eat tons of this stuff. What makes it so delicious? Guess that’s because of that spicy black pepper sauce I used this time. I admit I even spread it on a slice of bread for lunch sometimes! This ready made sauce of Lee Kum Kee comes from a Chinese supermarket in Brussels I visit quite often. Love it! 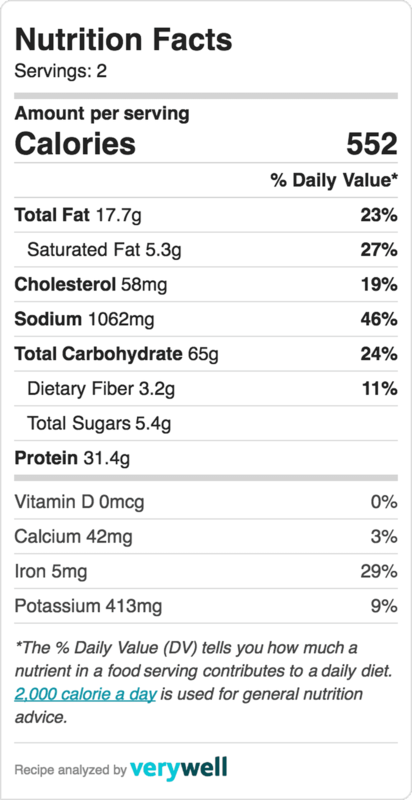 Also look at that medium-rare beef… If you prefer it a little more cooked on the inside, be my guest! If you find this sauce too sweet or too tacky, here’s my personal skinny version I prepare sometimes when I don’t have a LKK jar in my pantry. Prepare the rice vermicelli. Follow the specific cooking instructions on the package. Some are soaked in cold water, some are cooked. 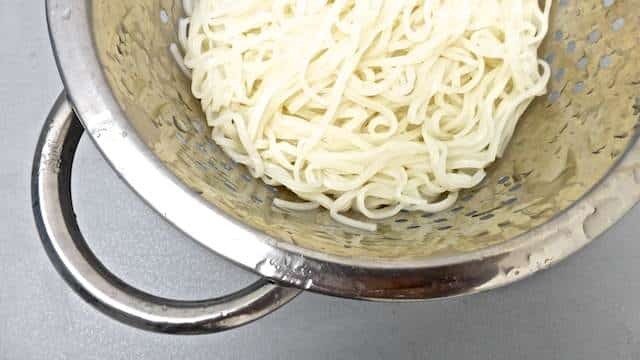 Once tender, drain the noodles and put them aside until needed later. Pour the vegetable oil in non-stick pan and place it over high heat until hot. Then add the steak. Sear the steak on all sides and then cook it until the doneness you like best. I prefer mine rare to medium-rare on the inside. 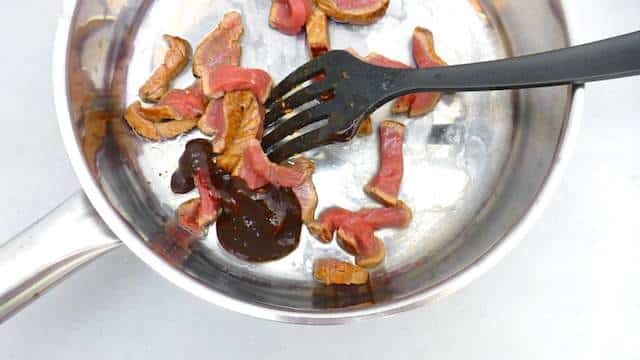 Also gives this dish a great look after the steak is sliced up. Then remove the steak from the pan and let it rest on a clean chopping board for about 5 minutes. Then slice it up and add it back to the pan together with the black pepper sauce. 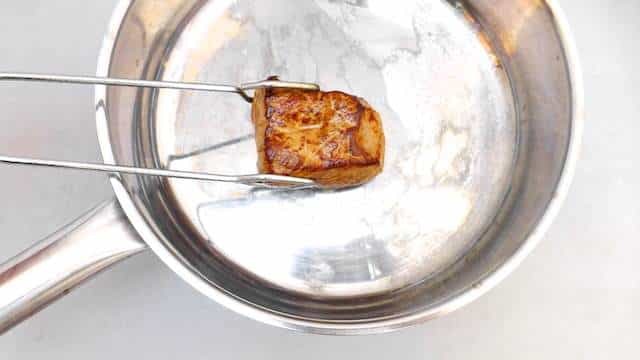 Pour in a small splash of water and turn the heat lower to medium. Let the sauce simmer for a minute. 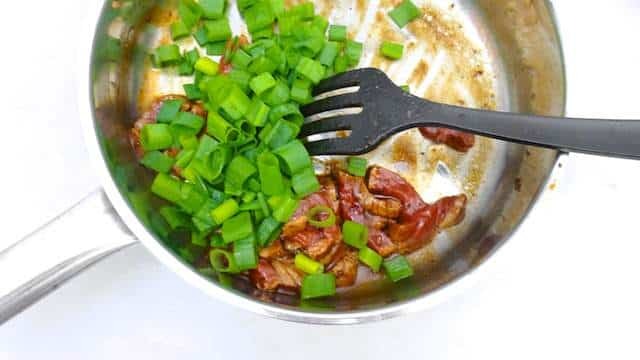 In the meantime slice up the spring onions and add them to the pan. Stir again. Then add the cooked and drained noodles. Stir well now. Add extra water if necessary. Check the seasoning and add more black pepper sauce to taste if necessary. The sauce is pretty spicy so watch out. 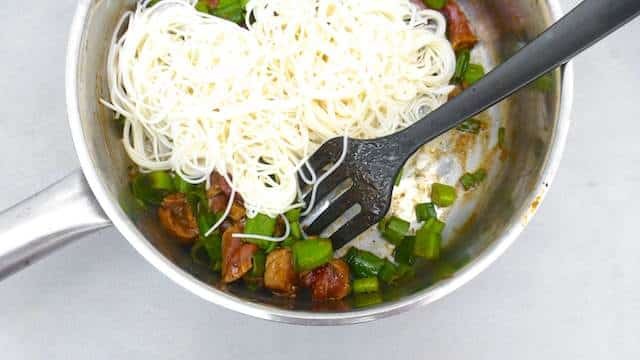 Once the noodles and steak are nicely coated with the pepper sauce, then take the pan off the heat and scoop the stir fry into bowls. Sprinkle with the black sesame seeds and serve hot.